The Salvation Army today [Jan. 31] announced its new world leader and the 19th General will be Commissioner Linda Bond — a former leader of the church in Canada and Bermuda. Commissioner Bond becomes the third woman and the fourth Canadian to hold the post of General of The Salvation Army since the international church and charitable organisation was founded 146 years ago. The Commissioner, who currently heads up the church and registered charity’s work in the Australian Eastern Territory, was elected by The High Council of The Salvation Army made up of senior leaders from around the world who met this week in Sunbury-on-Thames near London, England. Commissioner Linda Bond, 64, will have the title General-elect until she succeeds the current world leader General Shaw Clifton, who retires at the beginning of April. Once in post as General of The Salvation Army, the Commissioner will become the head of more than one million Salvationists in 123 countries. The Salvation Army also has more than 100,000 employees who between them communicate in 175 different languages. General-elect Bond has spent much time on the island with Bermudian Salvationists over the years. On her first visit to Bermuda after becoming leader of the Canadian and Bermudian branches, an honour guard greeted her when she arrived at Hamilton Citadel. Keri Brangman of the Somerset Corps, a Junior Soldier, welcomed Commissioner Bond, and presented appropriate Bermudian flowers and Deputy Bandmaster Wayne Knight expressed welcome greetings to her on behalf of Bermudian Salvationists. “The meeting [pictured] was packed with a diversity of Salvation Army Bermudian expression, including the Bermudian Jazz Ensemble, the interpretive dance group from Hamilton Citadel, and the Jabulani Singers from Somerset,” said a report on that visit. In recent days and months, The Salvation Army has been involved in relief work in the aftermath of the Australian floods, the devastating mudslide in Brazil, floods in Sri Lanka, and the New Zealand earthquake. Commissioner Bond comes to the role of General of The Salvation with 42 years experience of Christian ministry and leadership. Since 2008 Commissioner Bond has headed up The Salvation Army’s work across Eastern Australia, a huge territory with its headquarters in Sydney. This includes the recently devastated state of Queensland where The Salvation Army continues to be heavily involved in assisting victims of widespread flooding. Prior to this, the Commissioner worked at Salvation Army International Headquarters (IHQ) in London, as the Secretary for Spiritual Life Development and International External Relations. This was her second spell at IHQ where she had previously served as Under Secretary for Personnel in the mid 1990s. 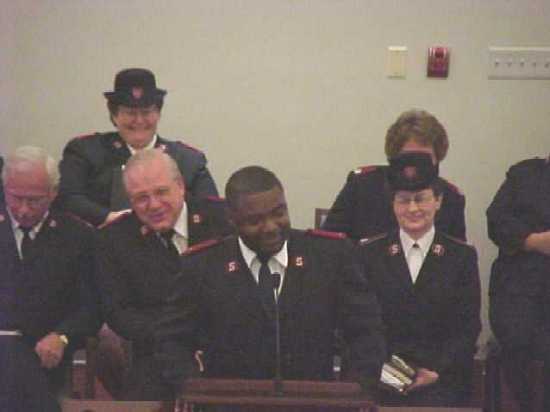 As a Salvation Army officer – an ordained minister of religion and leader – Commissioner Bond has served on the staff of Salvation Army national and regional headquarters and as part of the training staff for new officers in her home territory of Canada and Bermuda. 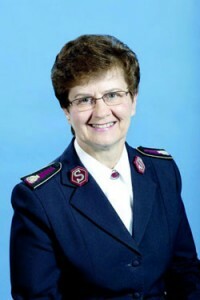 During those years she also served as a divisional and subsequently a leader of The Salvation Army in Canada and Bermuda.